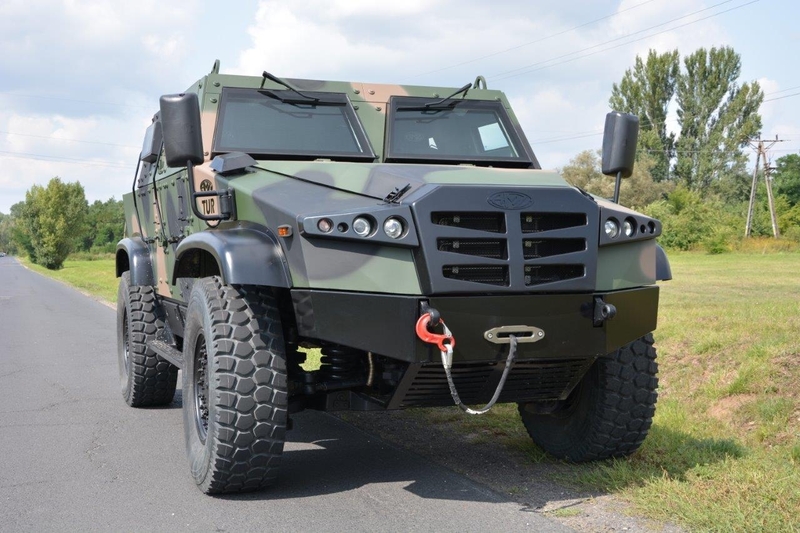 Poland is rapidly emerging as a leader in European armored vehicle production. Where once its factories were confined to reproducing Soviet equipment, three decades on and its military industries offer new models that are fully compliant with NATO standards. 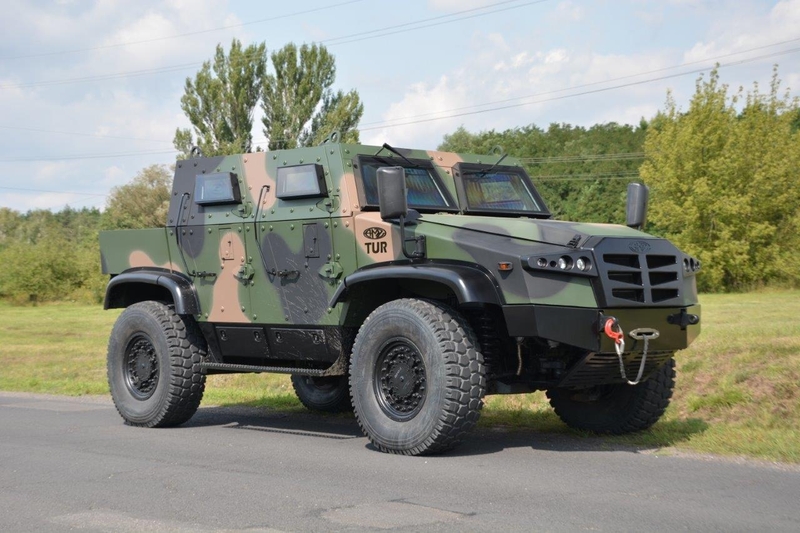 A perfect example is the newest addition to the catalog of AMZ Kutno, the Tur V.
The Tur V is a lightweight tactical vehicle designed for driving and fighting with mechanized formations. It uses a modular design to suit customer requirements and has parts sourced from across Europe. The Tur V marks the latest evolution of the Tur, a multipurpose 4×4 first seen in 2007. AMZ Kutno have continued to alter the vehicle’s characteristics since then and are positioning it for international customers. 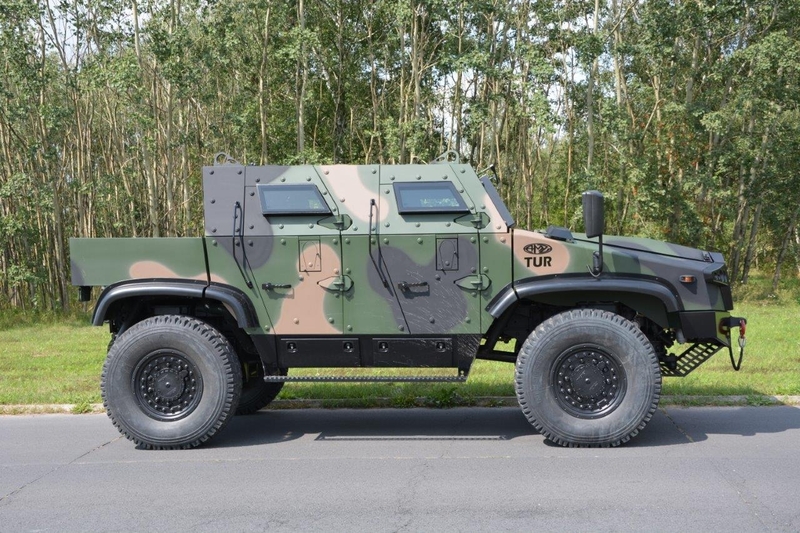 The Tur V subscribes to a conventional truck design patterned after high mobility models like the Sherpa and the Vamtac. It’s also recognizable for its grille and separate reinforced windshield panels. Its bumper houses a towing winch and the Tur’s ground clearance suggests a generous fording depth for crossing bodies of water. 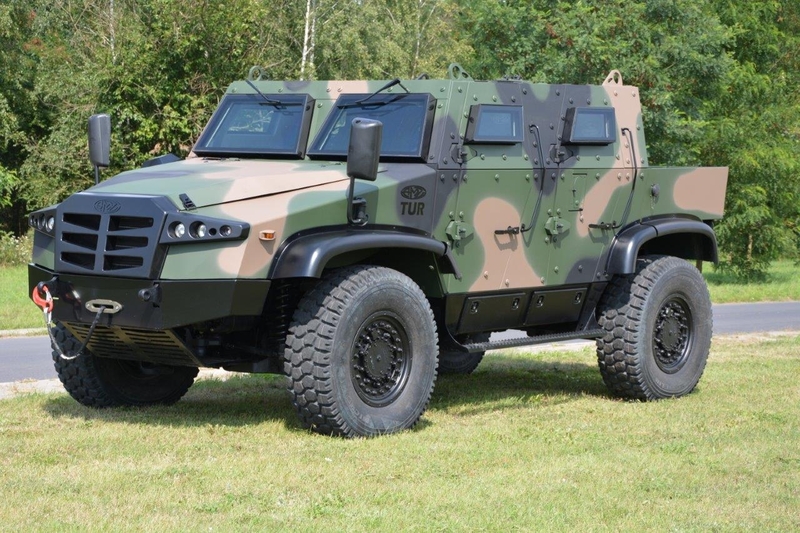 The Tur V runs on an Iveco turbo diesel engine and is capable of a top speed reaching 110 kilometers per hour. Its range on a full tank is reported to be 400 km. According to its manufacturer it uses runflat tires on a shock resistant chassis for off-road driving. Like many of its peers the Tur V can be assembled into different variants. Pictured above is a basic pickup truck configuration with an exposed bed. Each of the doors have reinforced windows and small firing ports for combat. 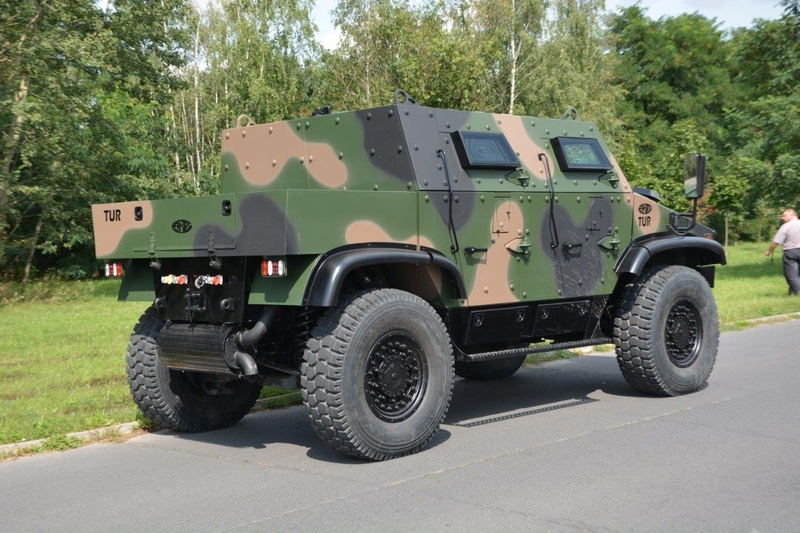 The Tur generally offers STANAG II levels of armor for its cab. Its hull can also be equipped for blast resistance against roadside bombs. The Tur V can mount different types of small arms common among 4×4 platforms. These include machine guns and grenade launchers in either manned or remote controlled turrets. Smoke dischargers and additional ballistic protection are optional. It would be interesting to see if the Tur V can deploy armaments such as mortars, large caliber cannons, or anti-aircraft missiles like some of today’s armored cars. 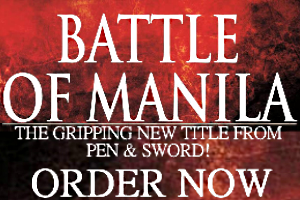 AMZ Kutno has been promoting the Tur V since 2015. Its presence in regional arms shows remains strong but customers haven’t been announced yet.